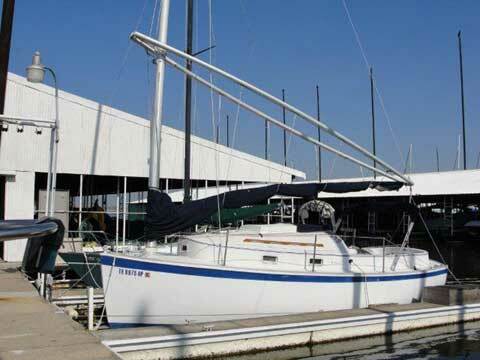 Cat rigged boat with 6ft. 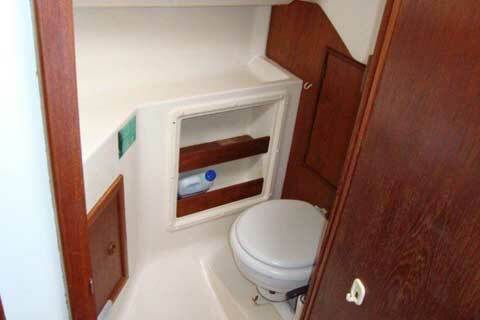 standing head room, yacht quality construction. 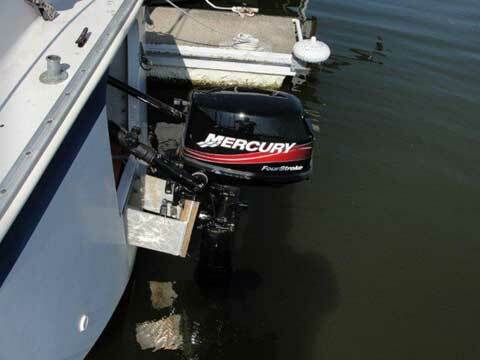 1 year old Mercury 6 HP 4 stroke Outboard, sail in good gondition. 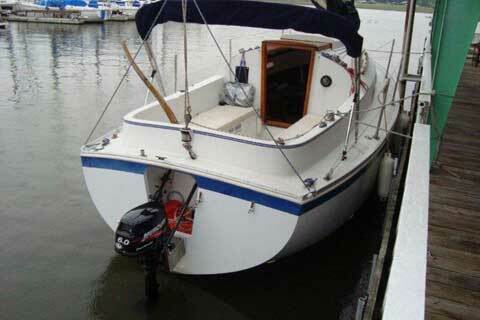 This is a very nice little yacht, with an enclosed head, tiller steering, clean interior, nice gelcoat outside. 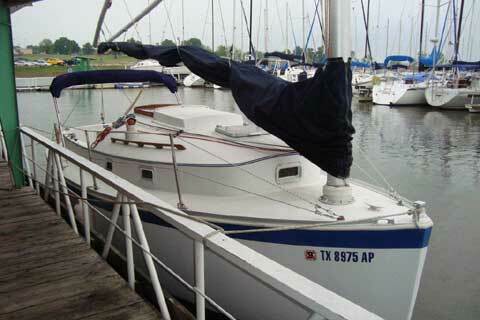 I have taken the boat off the market. Could you please cancel the add?